Two dear friends of mine recently left Korea. Before departing on new and exciting adventures, they made sure my kitchen was fully stocked with food and various utensils. 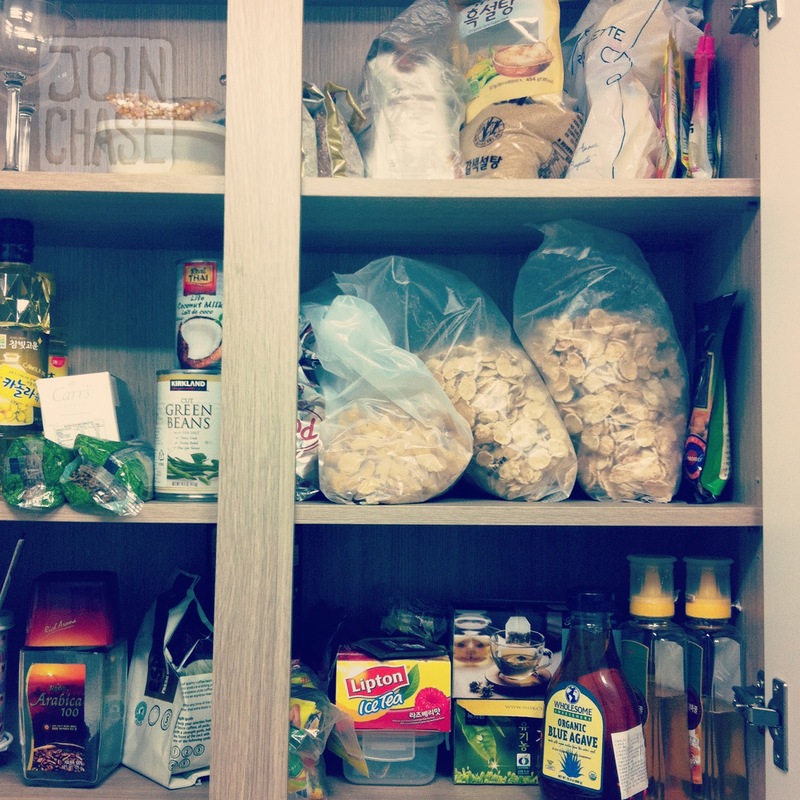 To be honest, I have never seen my cupboards so full. My life is abundantly blessed. I am in awe of how people constantly, continually provide for me. Whether it is a meal, a place to sleep, coffee, or simply a piece of advice. My life would have, as well as be, close-to-nothing without what has been given throughout. My friends’ most recent act of kindness is only a small portion of all they have done for me over the past ten months. We have shared many delicious dinners together, all but one prepared by them, and they have filled by belly with lots of laughter, and my heart with plenty of love. Thanks to Erin, Suzette, and many others for blessing my life abundantly. You have been an example of what we are called to do. Giving graciously, selflessly, of what we have received.